Every parent wants to raise successful children. We want children who work to the best of their ability, children who willingly face a challenge and learn from it. However, 36% of children in the US will not attempt a difficult, strenuous task. Instead, they quit. Take a moment and think of the irony. We want to raise hard-working, successful children, but only 64% of us are doing so. The remaining 36% of us are raising quitters! That’s harsh…and somewhat frightening. I have to ask myself, how can I be in the 64% who raise hard-working, successful children? How can I be sure to raise children willing to face a challenge and learn rather helping to raise a generation of quitters? A study of nearly 50,000 participants (read more here) may provide us with the answers we seek. This study suggests the following actions can help us raise hard-working children. Establish clear, respectful structure in your home. A structured home includes age appropriate rules and routines. Children given structure and routines tend to outperform peers without structured routines. And, consistently enforced limits allow children the sense of security needed to explore, learn, and grow. Let your children make choices AND experience the consequences of their choices. Allow your children the freedom to make mistakes. But don’t stop there. Support their learning from those mistakes as well. Enduring the pain of watching our children suffer the consequences of bad choices can lead to us rejoicing in the wisdom they carve out of that learning experience. Children make good choices, too. Don’t forget to celebrate the victories they experience as the result of those good decisions. Praise your children for their hard-work and effort, not the outcome. Whether they succeed or fall short, acknowledge your children’s effort and persistence. As you do, they learn the value of persistence and hard-work, both of which lead to greater success in the long run. Praise them for trying new things as well, even if they do poorly at first. This will teach your children to take reasonable risks, which also leads to greater success in the long run. (see 5 Mistakes to Avoid and Ruin Your Child with Praise). Keep screen time to a minimum. Screen time takes away from family time. Additionally, grade point averages began to decrease slightly after 30-45 minutes of screen time a day. After two hours of screen time, a more dramatic drop in grades began to occur and by four hours of screen time grades dropped a whole letter grade. More time spent on video games and TV viewing also leads to less sleep and more emotional volatility. Replace screen time with family time (Learn more in New Teacher in Town). Enjoy family time. 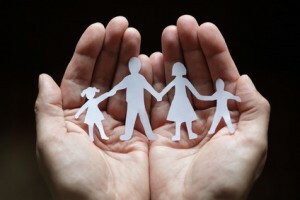 Family time contributes to higher grade point averages and more emotional stability. Family dinners, attending religious services together, and playing board games, in particular, promoted healthy outcomes. If you struggle for family time ideas, check out some of our Family Fun night ideas. These five practices will nurture your children’s success and help you raise hard-working, successful children. with our family. It begins with acceptance and can include simple skills like exercise and setting goals. “Trying out” also raises the level of family happiness. I don’t mean “trying out” in the sense of “trying out” for a position on a sport’s team or “trying out” for a part in the musical. “Trying out” in this sense means to keep on learning new things. “Try out” something new, just for the fun of it. Trying new things engages our curiosity…and curiosity is one of the top 5 “basic human strengths” associated with an overall life of fulfillment and happiness! Trying new things also allows us to accomplish new things. Accomplishments lead to greater self-confidence. Accomplishment and confidence contribute to overall happiness. So, let’s start “trying out” new things to boost our family happiness. Here are a few simple ideas to get you started. Turn something old into something new. All families have their routine activities. Sometimes these activities can become too routine and humdrum (like the family meal); or, even worse, they become so routine we disliked them (like washing the dishes). Next time your family engages in one of these routine activities, look for and talk about three novel or unexpected aspects of the activity. Focus on the sounds, the facial expressions of your family members, the smells, or the physical sensations of the experience. For instance, how do the bubbles of the dish soap feel? Can you make the bubbles float into the air? Sing a song about the activity. Can you make music with the dishes as you clean them? Try telling stories to make your family laugh during dinner? You get the idea. Look for the humorous, the novel, and the overlooked aspects of the old routine activity. When you discover one, shout it out for all to hear. Learn the family stats. Learn something new about your spouse, kids, and parents. What are their current interests? What are their current challenges? What are their greatest joys? 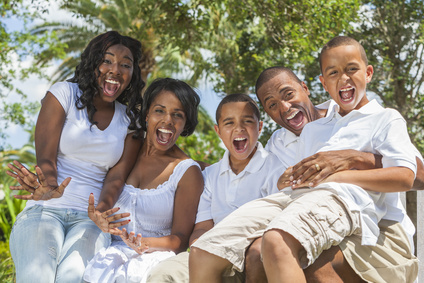 What family stories have your children never heard but speak of fun or resilience in your family heritage? How have your spouse and children grown? What have they learned? What excites them? How have they changed since last year? Dream. As you spend time together, begin to dream. Think about activities you would like to “try out.” Have you tried skiing or hiking? Paint ball or fishing? Why not take the family out and give it a shot? You could read a book that no one has read but you think you’d all enjoy. Take a trip to a place you have never visited. Try cooking a type of food you have never eaten—Asian, Middle Eastern, French, Brazilian, etc. Plan a vacation to someplace you have never been. Whether the Bahamas, Yellowstone Park, Ohiopyle, Europe, or Ohio, plan the trip as a family. Live the dream. After you have planned out any one of your dream ideas, do it. Enjoy the ethnic feast, the dream vacation, and the simple activity. Have fun “trying out” something new. What are some new things your family has “tried out” to boost your happiness? It can be tough to find a fun family activity when it’s cold or rainy outside. But, never fear. This idea will provide a full day of family fun for the price of going out to dinner as a family. No, it’s not dinner. It lasts longer than dinner, giving you more for your money. What is it? Your family can have a blast all day at the Children’s Museum (check out all the fun you can have at the Pittsburgh Children’s Museum here). At the Children’s Museum, you and your family can experience amazing fun at the crossroads of curiosity, creativity, and hands-on experimentation. You can learn about woodworking, circuitry, stop-motion animation, and bouncy balls through hands-on activities. That’s not all either. You can witness illusions of all kinds, explore transportation that drives, flies, or rolls through space, and discover the joys of creative water play. As you can imagine, this fun family activity will fill a whole day with laughter, fun, and learning. So, when it looks like a boring day inside because of rain or bad weather, head on down to the Children’s Museum and have a family blast. What do you get when you cross hide-n-seek with a treasure hunt? A fun family activity entitled “Hide-N-Seek with a Twist.” (I know the title is not all that exciting, but the activity is a blast!) This family activity involves hiding, finding, and the treasure of affirmations. Here is how it works. Each family member writes 2-4 affirmations (one sentence long) for each family member. You may have to help younger children with this step. Mom can help young children write for Dad and Dad can help them write for Mom. Keeps these affirmations a secret, a surprise. Affirmations may include statements like: “You are beautiful.” “I appreciate your helpfulness around the house.” “You’re effort in learning piano is really paying off. I love to listen to you.” “I appreciate your work with the children at church.” You get the idea. Each family member spends the evening hiding their affirmation notes. Be creative in your hiding places. Slip some into lunch boxes, school books, pack backs, purses, or briefcases. You can even hide some among the cereal, the silverware, in the car, or under their pillow. Be creative. Label an envelope for each family member. Pick a common area in your house and place each family member’s envelope in that area. You may choose to put the envelopes in front of each person’s dinner seat around the table…or on the refrigerator…or in the living room. Just be sure it is an area each family member frequents. And, be sure each family member has their own personal envelope. Over the next week, family members will find their affirmations as they go about their daily routine. Each time someone finds an affirmation, they read it, smile, bring it to the common area, and put it in their envelope. At the end of the week, gather your family in the common area and share affirmations with one another over some “gourmet hot chocolate” or homemade cookies. Tell family stories that exemplify the various affirmations. Enjoy one another’s company and encouragement. What do you believe about your children’s behavior? When they misbehave, what assumptions do you make? When they behave well, what do you think? Many parents don’t take the time to answer these questions. However, the answers you give impact your children’s behavior, your children’s belief about themselves, and your response to your children’s behavior. Consider these examples. 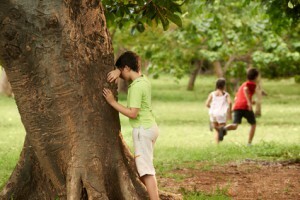 If you see your children’s misbehavior as rebellion, you will respond swiftly and harshly to squelch the rebellion. 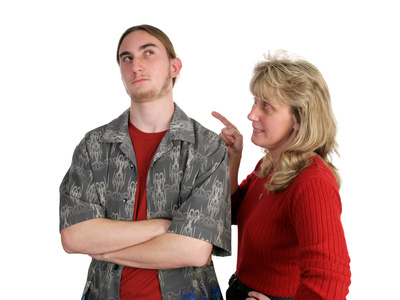 You might assert your adult power to “put down the rebellion” and show your children who is in control. Your children will grow to see themselves as powerless. They will feel intruded upon and imprisoned by your assertion of power. They will want to break free and push against your authority even more. They will want to assert their power, but the only way to do so is through rebellion. Ultimately, they will grow more rebellious in their attempt to assert their own independence, autonomy, and power. And so the cycle grows. If you assume your children’s behavior is a result of laziness, you may push them to do more. You will attempt many ways to motivate them, maybe even call them lazy in the process. They may accept that label and begin to consider themselves lazy. Unfortunately, a lazy person can’t change; it takes too much work and they are too lazy to do the work. As they struggle to feel motivated to do what is asked, they may also begin to feel bad, like something is wrong with them. With no other choice, they live up to (or should I say “down to”) the label of lazy. These beliefs might be true sometimes. I doubt if any child is always rebellious, always lazy, or always sneaky and defiant. When these beliefs become the primary way in which we see our children’s misbehavior they create a vicious, downward spiral of negative interactions and negative behaviors. It doesn’t have to be this way. You could become curious about your children’s behavior. You will still need to discipline. You will still give consequences, but those consequences will change and become more effective. Think about the process. You observe your children misbehave. You become curious about that misbehavior. Are they rebelling? Being lazy? Acting in defiance? Or something else? After all, the answer to these questions will definitely change my parental response. There is only one way to know the answers, ask. So you begin to engage your children. You start a dialogue about the behavior you just witnessed. You simply begin to explore what might have motivated their behavior. What was their intent? What was going on in their thought life as they considered the behavior? What feelings did they have? Was there anything that triggered the behavior? Was there anything bothering them or exciting them? Suddenly you find yourself having an interesting dialogue about behaviors, limits, and your children. You are learning about their fears as well as their hopes and dreams. Not only that, you are training them to develop an awareness of their rich inner life of thought, intent, emotion, and motivation. You are teaching them to think before they act. You are teaching them to consider the consequences of an action in relation to the goal they want to achieve. Isn’t that the greater goal of correcting misbehavior? Then your consequence will merely reinforce the lessons learned in relationship with you. Give up the assumptions and get curious. Start a dialogue with your children. Discover what makes them tick. Teach them how to think before they act by thinking with them. Drinkable chocolate was used in France during the 17th century to fight against fits of anger? Today, research has confirmed that chocolate reduces the level of stress hormones in people highly stressed, which may reduce anger in such situations. Antioxidants in hot cocoa are almost twice as strong as red wine, two to three times stronger than green tea, and four to five times stronger than black tea. And, more antioxidants get released when we drink “hot” cocoa as opposed to cold things. Antioxidants fight free radicals in the body, which translates to reducing the chance of cancer and heart disease among other things. Hot cocoa contains flavonoids which can help improve blood flow, help lower blood pressure, and improve overall heart health. Hot cocoa contains phenethylamine. This chemical will stimulate the nervous system and trigger the release of endorphins and increases the positive effect of the neurotransmitter dopamine (which is part of our reward system). Dopamine and endorphins help us feel good, relieved, and satisfied. As you can see, hot cocoa carries more than just a punch of good taste. It brings added health benefits, too. And, hot cocoa can make for a great family fun night. Who doesn’t like to gather with loved ones and sip some hot chocolate while sitting in a comfy room sharing conversation and games? Of course, to really make a great Family Fun Night, don’t have any old hot cocoa. Make it a home-made cocoa or gourmet cocoa. Check out Something Swanky or Our Best Bites for a few ideas. Add to the fun with a “hot cocoa bar” filled with candy canes, whip cream, marshmallows, and more. What are you waiting for! 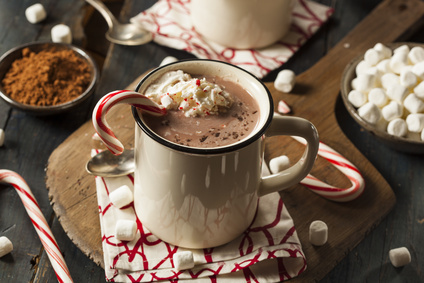 Get out there and enjoy the health benefits of a Family Fun Night with hot cocoa! We all want our children to excel. We may want our children to excel in different areas (sports, academics, music, theatre, dance, socialization, etc. ), but we all want them to excel. Nobody wants to point out their children and say, “Yes, my children are mediocre at best.” No, we want our children to work hard and find success. We want them to excel. Unfortunately, we often engage in behavior that limits their ability to excel. We increase our demands and expectations, raising our children’s stress level and fear of failure. Instead of excelling, they succumb to the pressure and fall short. They start to resist or even avoid hard work and so miss out on success. As parents we can help build an environment to encourage our children to excel. Here are some ways to do so. Maintain healthy expectations. Do not expect your children to do more than they are developmentally ready to do. Do not expect them perform above their physical capabilities. On the other hand, do not lower your expectations to make it easy for your children. Children need a realistic challenge to work toward in order to excel. Become a student of your children. Create healthy and realistic yet challenging expectations for their lives. Focus on effort. Instill the value of hard work and effort above achievement and performance. If you focus on achievement and “end products,” your children will believe that success result from natural talent alone. They will avoid difficult tasks for fear that failure reflects a lack of natural ability. Instead, attribute success and failure to effort, not ability. Teach your children that effort and hard work lay the groundwork for achievement. When your children learn to value effort and hard work, they can embrace challenges, overcome obstacles, and learn from mistakes…all of which promote your children’s ability to excel. Maintain a loving relationship with your children, but don’t forget to maintain firm limits Don’t be afraid to discipline your children. Teach them to finish what they start and to think about the cost (in terms of time investment, energy, school requirements, and desired downtime) of an activity before starting. Do not step in to fix problems that arise. Encourage your children to seek a solution and to persist in the face of obstacles. Let them put in the effort to work through the difficulty. Then appreciate that effort. Make it part of your family life. Build the area in which you want your children to excel into the fabric of your home. Make the skills applicable to real life. Become a learner in that area yourself. Converse with your children about topics related to that area. Integrate it into your daily life. Enjoy it together. Make it a topic of conversation and interaction. Learn to have fun with it—laughing, playing, competing, debating, etc. Make it fun. Allow your children to be average! Our children will not excel in every facet of life. They are not in our lives to fulfill our dreams. 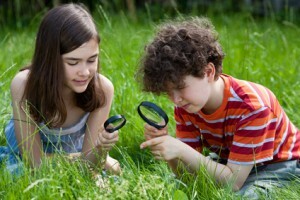 They will find their greatest joy when they find those areas that interest them. They will grow into happy adults as and invest their energy and time in areas fascinating to them. Allow them to do so. You might just discover that they excel in what is truly important in life—kindness, generosity, perseverance, etc. These five actions will open the door for your children to excel. They take time and thought to implement successfully, but your children will benefit from your efforts. You will likely fall short at times…several times if you are like me. We all make mistakes. Take the time to learn from your mistakes and re-open the door. Each time you do, you teach your children important lessons and help them excel in life. We just returned from facilitating a marriage retreat at Camp Christian in Mill Run, PA (learn more about Camp Christian here). The theme of the retreat was Blessing Your Spouse. We had a wonderful time with a great group of couples. At one point, we talked about the good, the NOT good and the VERY good of creation. Starting with the fourth day of creation, God looked at His work and “saw that it was good.” However, as His creation neared completion, He saw one thing that was NOT good. He saw that man was alone and said, “It is NOT good for man to be alone.” In response, God fashioned a woman out of the man’s rib…a person like man yet unique from him in many ways, a person with whom he could know God more completely. Man now had a companion who could stand face to face with him and reflect the image of God to him and with him. He was not alone! With a woman at his side, man would be able to know the relational intimacy and love that creates new life and reflects the image of God. God had now “created man in His own image, in the image of God He created him; male and female He created them.” But, creation was not yet complete. To complete creation, “God blessed them [Adam and Eve]….” I am fascinated that the first blessing spoken by God was to bless a couple—a couple created by God in the image of God. After God had blessed Adam and Eve, creation was complete. He “saw all He had made, and behold, it was VERY good.” Creation was not VERY good until there was a couple, a man and a woman, created in the image of God and blessed by God. Creation became VERY good after God blessed the first couple to fill the earth, to share their love, to create life, to tame the earth, and to harness the potential of the earth for the benefit of all. The history of man began when a God of relationship, in whose reign justice and compassion join together in love, created people in His image and blessed them with the task to reign in a manner reflective of His image. And that reign begins with marriage—two people joining their lives and futures, sharing their love and knowledge, and working together to fill the earth with life and peace. What a grand calling we have when we join together in marriage and in love. 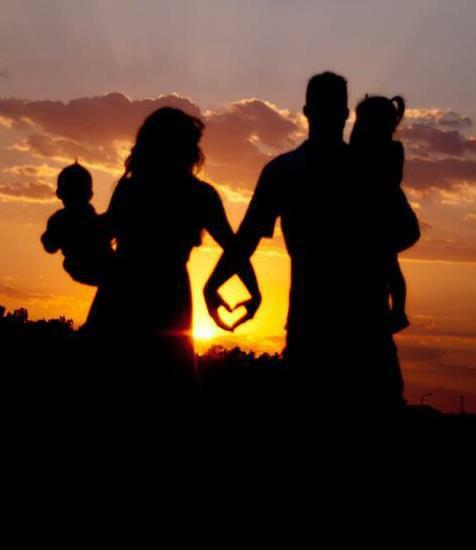 Fill the earth with your vibrant love and joy, beginning with your marriage and extending to the all those around you. Let the glory of God shine through your marriage; courageously utilize the power instilled in you by the nature of God’s image to replace what leads to death in this world with generative, eternal life. Rule with compassionate, loving stewardship over all created beings, both the persons & animals God may place under your care. Know that God will always remain with you and your relationship, “even to the ends of the world.” He will care for you and your relationship emotionally, physically, mentally and spiritually as you strive to share His love with one another, your children, your spiritual family, and all those created in His image.